Suggested applications: Schools, Universities, Banks, Hospitals, Long Term Care Facilities, Restaurants, Gas Stations, Offices, Hotels, and Warehouses. RCA Commercial Electronics presents a new line of high-quality LED Troffer Lights as a solution for lighting commercial applications. 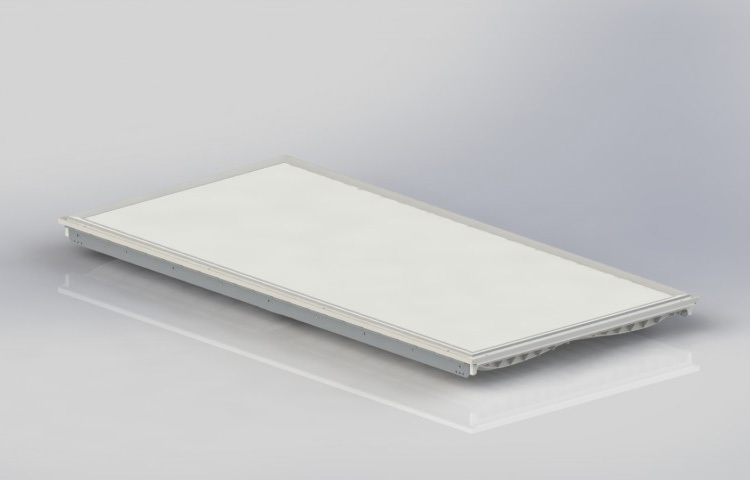 Optimized Luminance is a new concept involving reflective applied film to maximize the uniformity of light and ensures brightness without the use of a light guide plate. RCA used the technology from their edge-lit television screens (reflective membrane light filters with a series of parallel LED chip sets) and incorporated their energy efficient transformer technology. RCA is so confident with this technology that they are backing the full line of Lumitas products with a 5 year limited warranty. Long Life – 50,000 hours. No worries about replacement and maintenance cost. Non Ballast Technology – There is no high voltage ballast that burns out and creates excessive heat. Dimmable – Optional (0V-10V) dimmer switch needed. Dims lamp to 10% of full brightness. TAA Compliant – Allows you to sell to government facilities and GSA contracts. Non LGP – No Light Guide Panel. RCA technology bounces the light off the back of housing instead of Plexiglass with holes drilled to disperse light. Operates 120V-277V – Stock one unit and not have to be concerned with different voltages. Reduces inventory and returns. Fully Sealed – Never have to clean these fixtures, saving you time and money. RCA offers three sizes 2′ x 2′, 1′ x 4′, and 2′ x 4′ with two different colors of Kelvin: 4000K and 5000K.